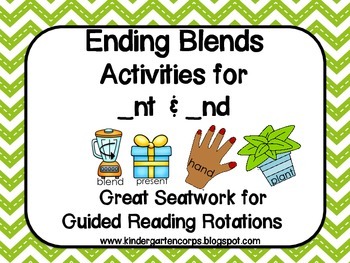 A great mix of ending blends (consonant clusters) activities to teach mastery of these two word final blends: nt and nd. (Each of the above pages comes in both the black and white clip art option or the color clip art option. You choose which option works well for your class. My class likes to color their own work so I prefer to print out the black and white option for them). In addition to the above, there are 12 kid-friendly cute, seat-work pages provided that don't require scissors and glue (which again come in both the color clip art and the black line clip art option). Also, two pages are a Sorting center of every _NT and _ND image used in this packet. 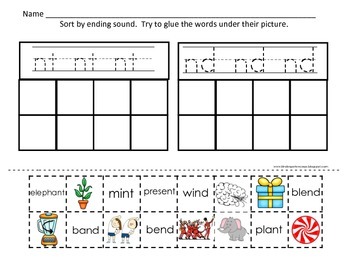 I print, cut, and laminate these images and page toppers to use as a literacy center. 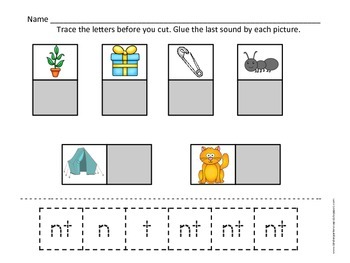 Last there are also two Little Writers' Readers for _nt and _nd words. 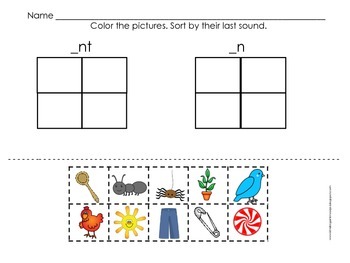 Each reader is multiple pages and packed with _nt and _nd consonant cluster words to combine phonics with writing skills.